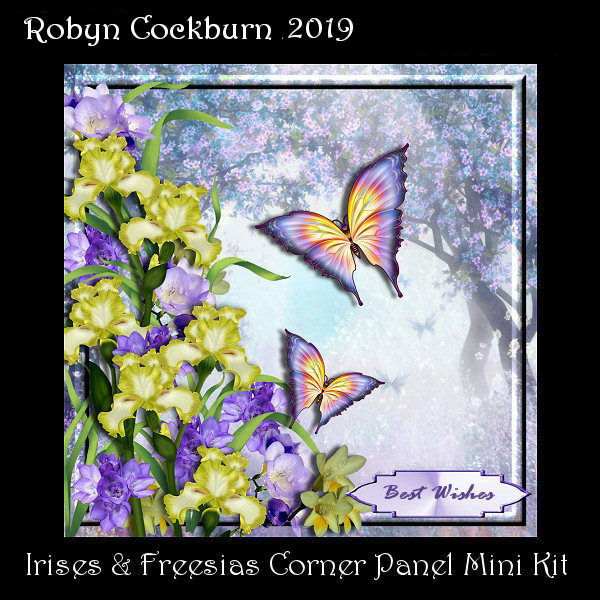 With the use of a square of acetate, this card has beautiful butterflies floating in the air beside a luscious layered corner panel of freesias and irises. Remember all that acetate packaging you throw out? Well, now you can use some! This design uses a 7 inch (17.8cm) square of acetate. This is OPTIONAL. The instructions give two methods of making the card. The card is 7 inches square when finished (scale your printing to 85% if you wish to make a 6 inch square card).